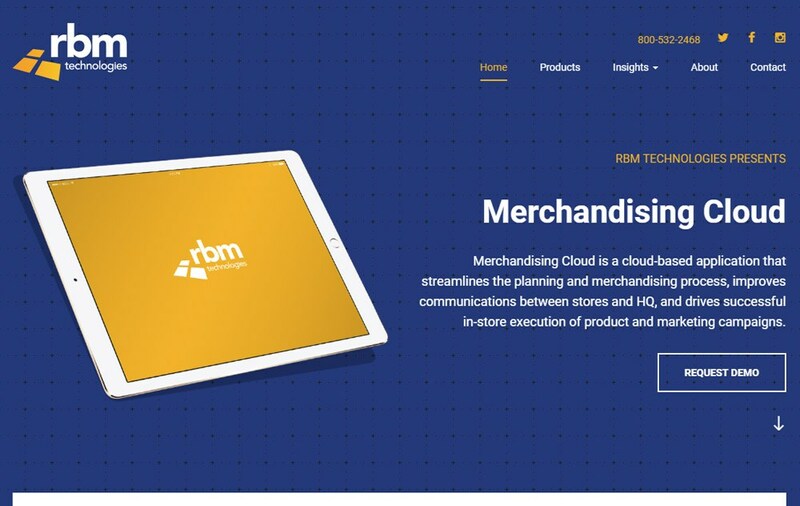 Merchandising cloud software for retail stores from large to small. 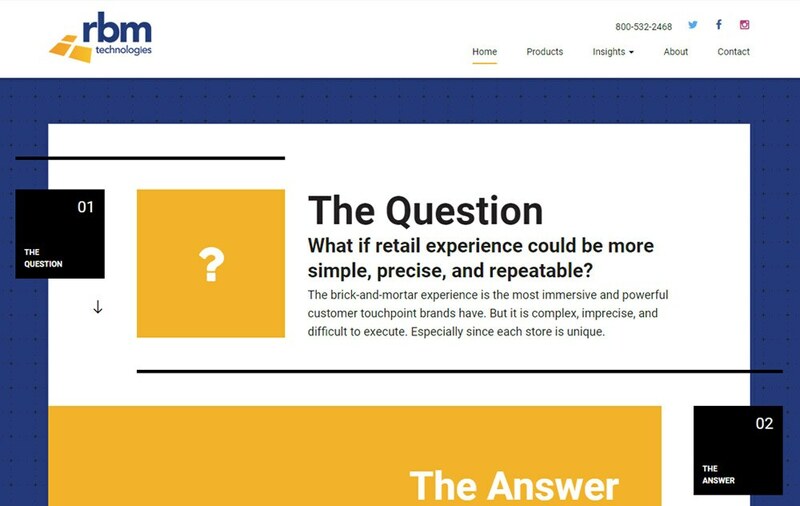 RBM Technologies (now called One Door) helps retail brands tell great stories, using technology to improve how they collaborate across silos, localize their merchandising, and simplify the store experience. When done right, these stories create a bond between a brand and consumer that lasts long after the transaction is over. RBM Technologies is privately held and headquartered in Boston with offices in Latin America, Europe, the Middle East, and Asia Pacific. 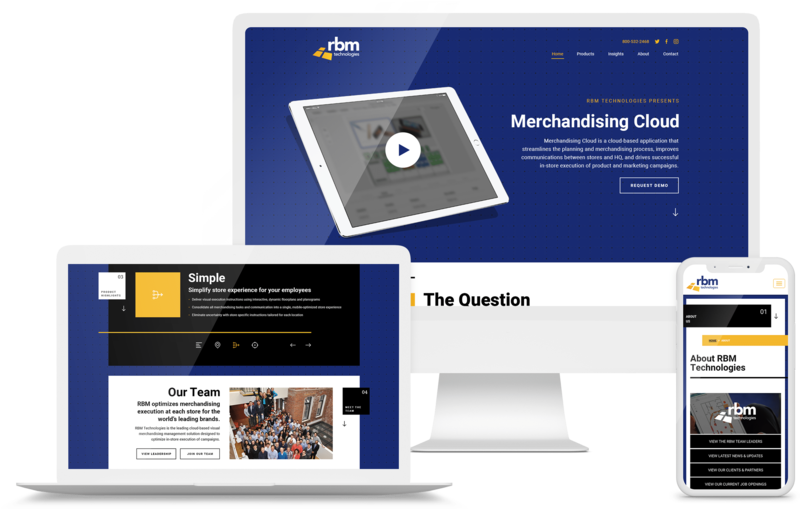 The challenge for us here at GoingClear Interactive was to really communicate and capture what RBM Technologies retail merchandising software is all about. 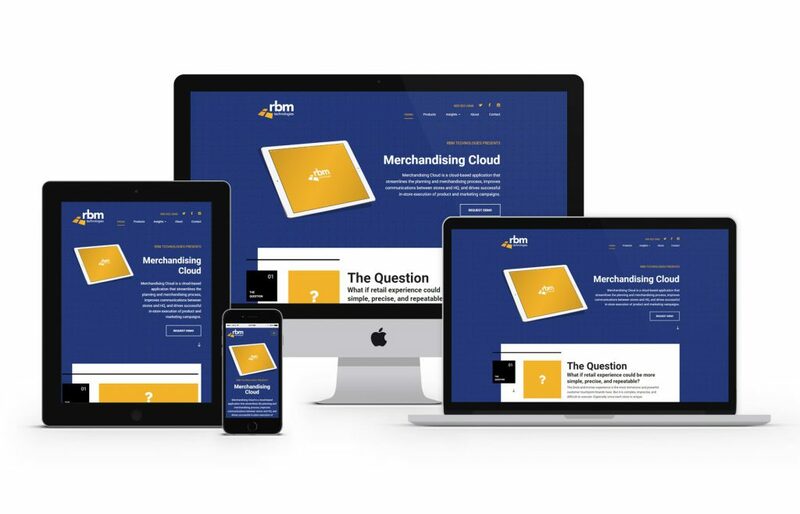 We had to take a complex product and introduce it in a clear and engaging way. During the sitemap creation and development, we kept a user-friendly interface in mind to try and present the product information as cleanly as possible. We used WordPress as the CMS (Content Management System) along with a fully mobile and tablet friendly design leveraging Twitter Bootstrap.